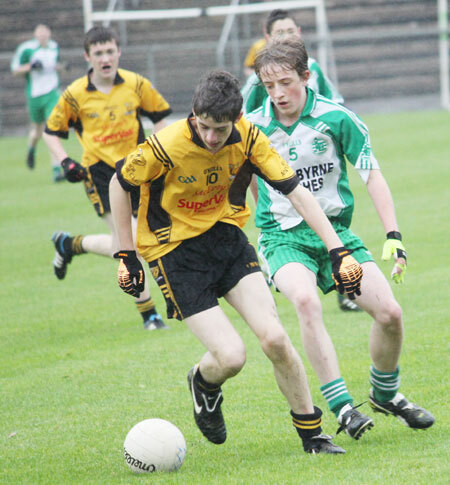 The conditions were dreadful at Saint Dympna's park, Dromore as Aodh Ruadh and Ramor United took their first steps in Ulster on Saturday afternoon. Apart from the steady down pour there were also patches of standing water which made the underfoot conditions treacherous and flowing play almost impossible. 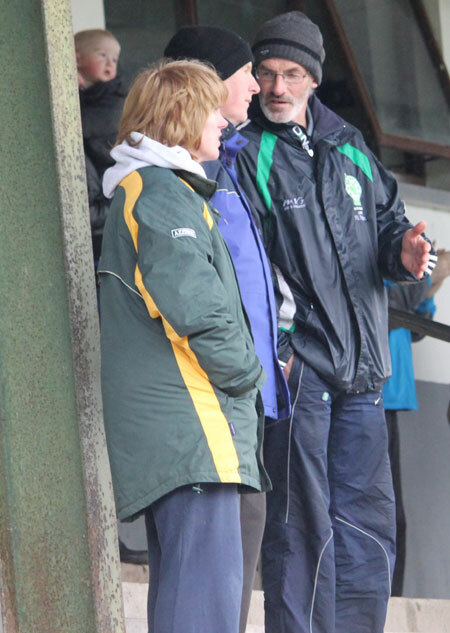 Because of the conditions it was a game which would require very careful officiating and it was good to see experienced inter-county referee, Martin Higgins of Fermanagh taking the whistle. 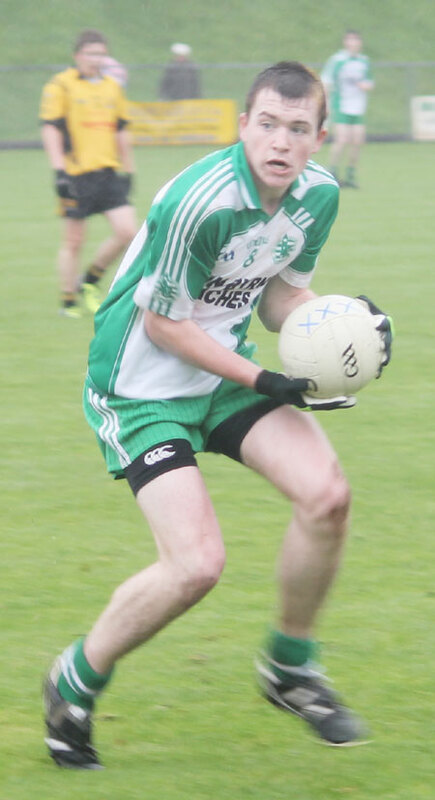 Ramor got to grips with the conditions the quicker and the impressive Sean McDermott had the Breffni men off the mark after two minutes with an excellent long range free. 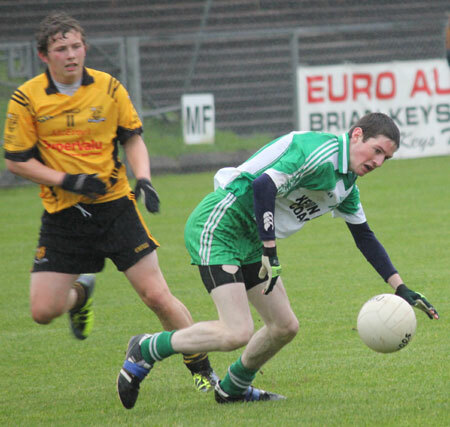 Aodh Ruadh had good possession, but hit a series of wides before Jamie McDonald finally got Ballyshannon off the mark from a placed ball. There was quarter of an hour gone before the next score came. 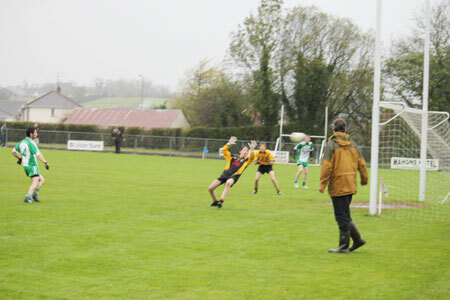 Pauric Patton drifted a free into the mixer where it was palmed down into the path of David McGurrin, who pointed from close range. 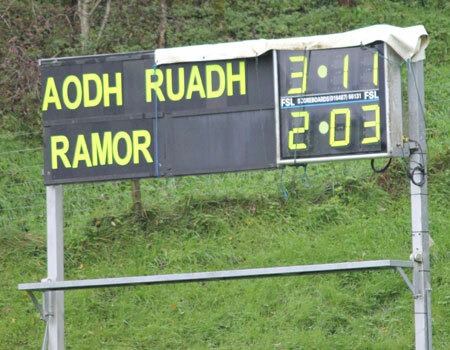 That score seemed to settle Aodh Ruadh and they tagged on another goal and seven before the break. 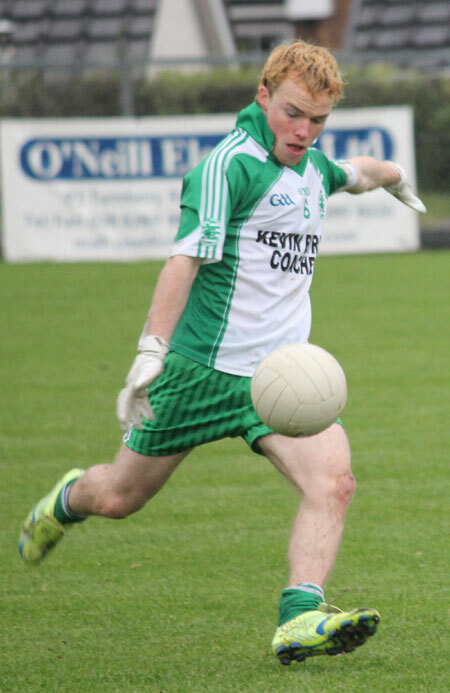 The next opportunity came on 16 minutes where James Kelly was through on Kealan O'Connell's goal, but O'Connell made a real quality stop to deny Kelly. On a tough day for the Cavan men O'Connell was a real star with his bravery and shot stopping. James Kelly quickly attoned for that miss by engineering an opportunity for Jamie McDonald to double his tally for the day. A McGurrin free a minute later was followed by score of the game from McDonald. McDonald made a burst through on goal from the right and with truly exquisite technique rifled the ball into O'Connell's top right hand corner. As we were to see, it was always going to take something a bit special to beat O'Connell. 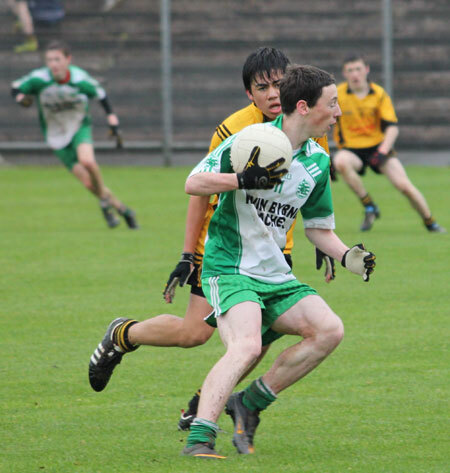 Aodh Ruadh were the hungrier around the middle of the field and that bore dividends on 24 minutes when they won the kick out and Johnny Gethins received possession before slotting over. Gethins won the following kick out himself and after advancing with menace, fired a shot over the bar to take the Ernesiders into a 0-1 to 1-6 lead. Another McGurrin free was followed by a majestic point from McDonald on 26 minutes, which was bettered three minutes later when Colm Kelly beautifully switched the point of attack to Johnny Gethins who pointed well from 30 metres out on the right. With the half almost up Aodh Ruadh went to sleep in the middle, and Ramor exploited the opportunity. 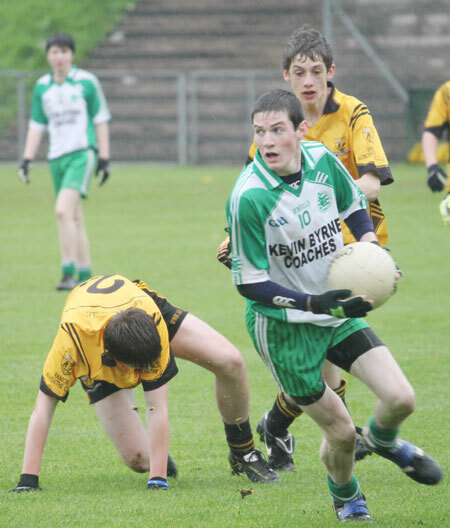 They sent early ball in to put Cathal Maguire one on one with Daniel Kelly. Kelly tried to make himself big, but Maguire was coolness itself, slotting low to Kelly's right to leave the half time score 1-1 to 1-9. Once again it was Ramor who started the half the better, but they were unable to profit from shooting into the drier of the two goal mouths. Indeed, life got harder again for them on 38 minutes when midfielder Jack Doyle saw the line for his second yellow card. Ramor responded by redoubling their efforts and a minute later created a two on one against Daniel Kelly, Kelly forced Sean McDermott into a shot and he blazed wide a glorious opportunity for a goal. A minute later McDermott made some amends for that miss with another great long range free executed with great polish and technique. 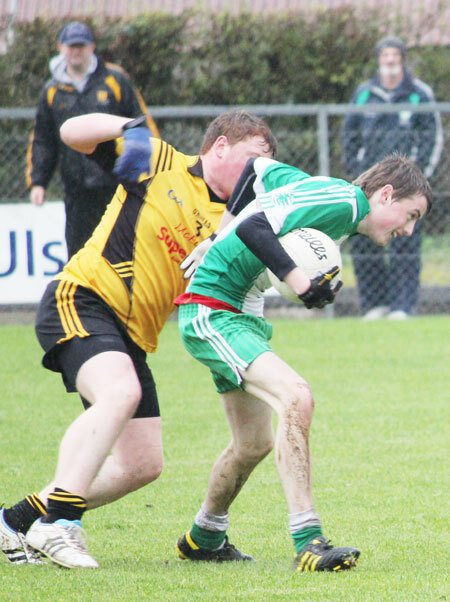 Aodh Ruadh were hanging on to a certain extent and it looked as if they would struggle to score in the second half at all. Indeed great defence from Matthew Maguire, Patrick Gillespie, Pauric Patton and Colm Kelly meant Ballyshannon could feasibly have fought a successful rearguard. However some valuable breathing space came as the game moved into its final quarter Eamonn McGrath hit a great pass to find Jamie McDonald, he unleashed Johnny Gethins, putting him one on one with O'Connell. Gethins kept picked his spot and finished crisply to the Cavan man's right. 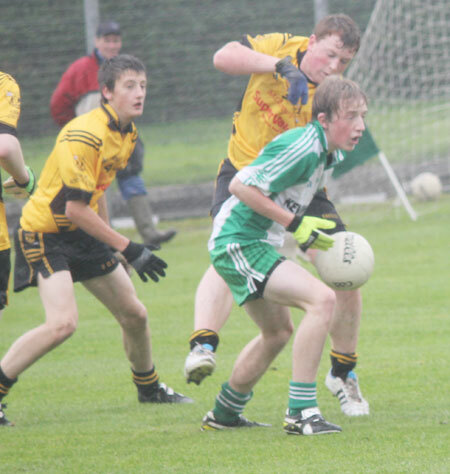 That put the scores at 1-2 to 2-9 and meant Aodh Ruadh were able to play on the counter. Ramor could sense defeat looming which might have explained why Sean O'Reilly made a wild lash out with the boot at Jamie McDonald while he was on the attack. Higgins had no option but to reduce Ramor to 13 men, while McDonald also saw the line after getting a second yellow for rather inadvisedly trying to assist the referee in his job. 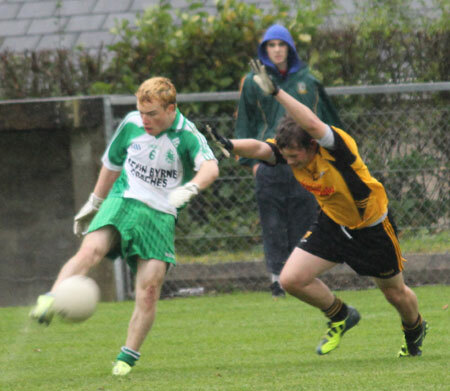 Sean McDermott showed his quality once again from the dead ball to put the scores at 1-3 to 2-9 with nine minutes to go. 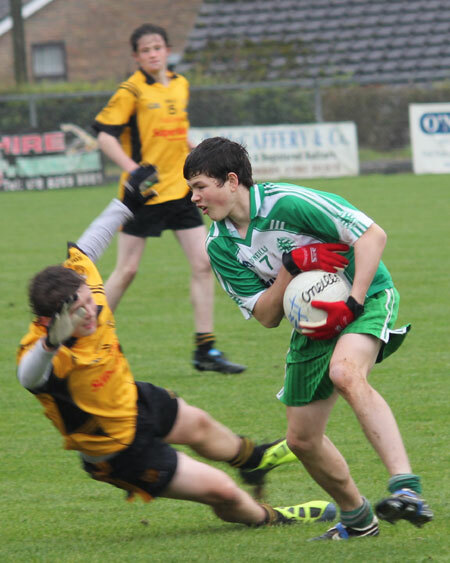 That elicited an immediate response from Aodh Ruadh with Darren Gethins getting on the send of their most fluid move of the game to score a well deserved point. 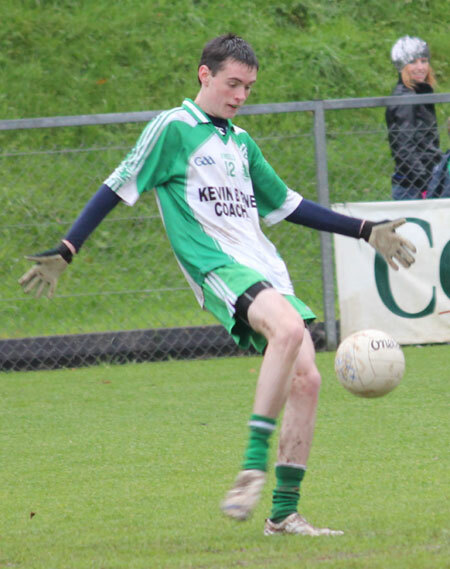 Ballyshannon won the ensuing kick out and it was only the power in Johnny Gethins shot that saw it make it into the back of the net as O'Connell once again made an outstanding effort to keep the ball out. 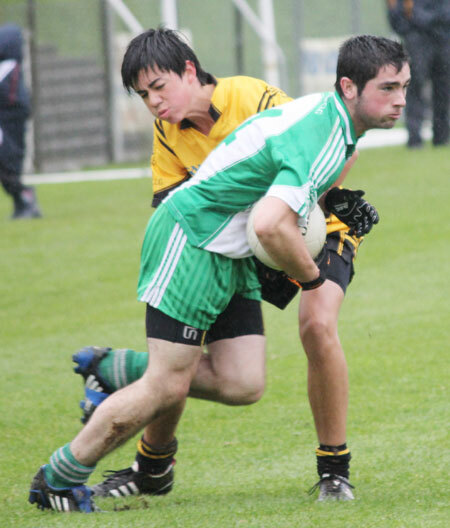 A minute later Michael McNeely was one on one with O'Connell, but he was unable to find a way past the Ramor star. A James Kelly free with four minutes to go finished the Donegal scoring, but the last word went to Ramor, they won a penalty which was clinically dispatched by Sean McDermott to bring the game to a conclusion with the scores at 3-11 to 2-3. It was a good win for the Ernesiders, but very difficult to take many lessons from what was a scrappy game in very trying conditions. 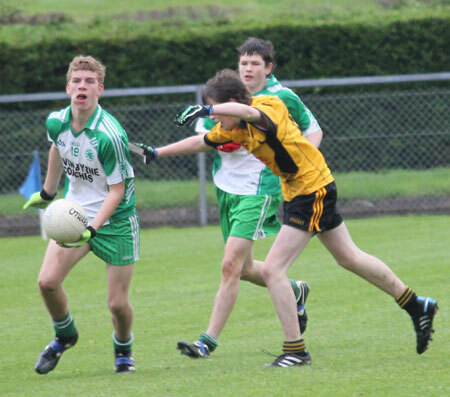 The half back line were exceptional while Darren Gethins and Eamonn McGrath were commanding in midfield. James Kelly's industry deserved greater reward than the one free he got while Jamie McDonald and David McGurrin's accuracy meant Ballyshannon always made the most of their opportunities after a ropey opening few moments. Man of the match was Johnny Gethins, 2-3 from play was fair reflection of his contribution and Ramor simply had no answer to his athleticism and craft. Kealan O'Connell had a genuine bit of stardust for the Cavan men, while Sean McDermott at half forward oozed class and was an excellent technical footballer. A word of praise for the referee too, who kept a good handle on the game through out. His firm reffing not only meant there were no confrontations, but thankfully both sides came through the game without injury. 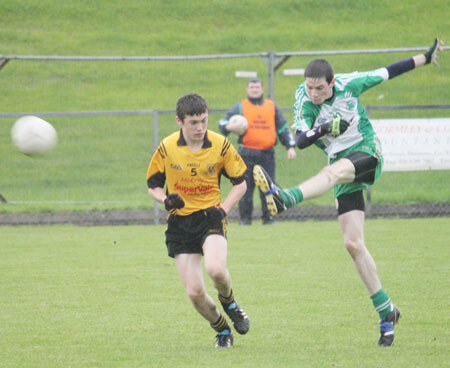 So Aodh Ruadh book their place in the Ulster semi-finals along with Scotstown. The remaining quarter-finals take place over the next two weekend before an open draw for the semi-finals. Daniel Kelly; Matthew Maguire, Ryan Patton, Matthew Gettins; Patrick Gillespie, Pauric Patton, Colm Kelly; Eamonn McGrath, Darren Gethins (0-1); Johnny Gethins (2-3), Michael McNeely, James Kelly (0-1f); Eddie Lynch, Jamie McDonald (1-3, 1f), David McGurrin (0-3, 2f). Substitutes: Gareth Ferguson for David McGurrin: 55 minutes; Niall Harley for Matthew Maguire: 55 minutes, Conor Kennedy for Matthew Gettins: 58 minutes, Jack Dolan for Eddie Lynch: 58 minutes, Stephen Thompson for Michael McNeely: 58 minutes, Conor Gilmartin. Yellow Cards: Darren Gethins: 38 minutes, Jamie McDonald: 44 and 50 minutes. Red Card: Jamie McDonald: 50 minutes - second yellow. Wides: 11. Frees won: 19. Management team: Shane Ward, Gregory Sweeney and Chris Kelly. Kealan O'Connell; Sean O'Reilly, Niall Farrelly, Pauric O'Connell; Eoin Sommerville, Mark Magee, Ciaran Daly; Jack Doyle, Patrick Gargan; Brian O'Connell, Patrick Burdiss, Sean McDermott (1-3, 1pen, 3f); Ben Nagle, Sean Brady, Cathal Maguire (1-0). Substitutes: Joseph O'Connell, Lawrence Caffrey, Dylan Morgan, Ryan Mannion, David O'Connell. Yellow Cards: Eoin Sommerville: 20 minutes, Jack Doyle: 38 and 49 minutes; Patrick Burdiss: 57 minutes. Red Cards: Jack Doyle: 49 minutes - second yellow; Sean O'Reilly: 50 minutes. Wides: 3. Frees won: 17. Management team: Micheal O'Donoghue, Eamon O'Connell and James Bradley.